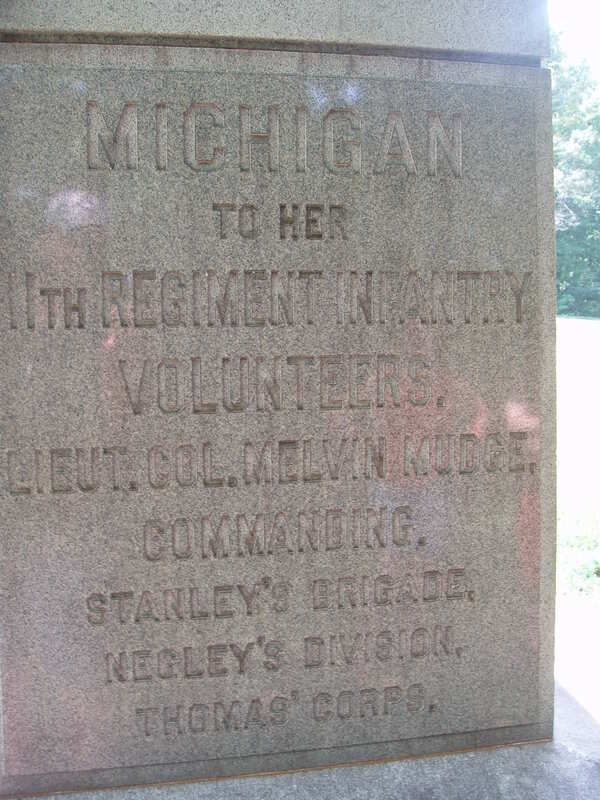 The 11th regiment of Michigan Volunteers was fully organized on September 24th, 1861 in White Pigeon, MI. Their Enrollment included 1,000 men and officers. They left Michigan headed for Bardstown, KY on December 9th, 1861 under the command of Col. William J. May. Over the next 3 years the 11th Michigan engaged in some of the fiercest combat of the entire war. Taking key rolls in the Battle of Stones River, Chickamauga, Missionary Ridge, Kenesaw Mountain. As well as the sieges of both Nashville and Atlanta. Just linked to your wonderful website and starting to explore it. Very impressed so far….. Thanks for keeping history “alive”.